Colonial Film: Moving Images of the British Empire is a newly-published website supplying information on films about the British colonies. How quaint that sounds. But for a large part of the twentieth-century (and therefore for a large part of the time that there have been motion picture films) the British Empire and its aftermath was assiduously documented on film, dramatised on film, and film traffic between the colonies was much debated and legislated over. The result is a substantial archive of film about the Empire that is no more which has become a rich source for socio-politcal historians as well as film historians with an interest beyond the familiar. 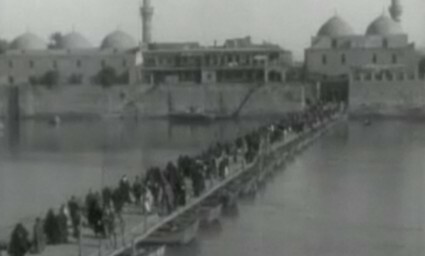 It was to serve such an audience that the Colonial Film project was established, funded by the Arts and Humanities Research Council and organised by Birkbeck College and University College London in partnership with three film archives: the BFI National Archive, the Imperial War Museum, and the British Empire and Commonwealth Museum. The chief result of this three-year project is the website, at the heart of which is a database of some 6,000 colonial films, taken from the records of the three archives. A lot of these records are available elsewhere i.e. on the databases of the BFI and the IWM, but there is obviously some convenience in bringing them together under this particular subject. The project researchers have added a great deal of background information for some the films, beyond the shotlists that the archives previously produced (some of them typed by these very fingers, a number of moons ago), including ‘context’ and ‘analysis’ sections, which put the films in a modern perspective. The project has also digitised and made available online some 150 titles. The films catalogued range in date from Arrivée d’un train à Melbourne (1896) to RAF Gibraltar Flight Safety Commercials (2005). Our interest, as always, is in the silent film material, and of those 6,000 around 750 are from the silent era, and 32 are available to view online. The films described included actualities, newsreels, drama-documentaries, travelogues, industrial films and fiction films, all evidence of the abiding interest the Empire had for British filmmakers and (to a degree) British audiences. What I want to highlight here are the films that are available to view, because they are fine collection in themselves. The site comes with some impressive searching tools, including an interactive map of the world for searching by country, and searching by theme (“Empire and Administration, Empire and Development, Empire and Education, Empire and Health, Empire and Independence …”), production company, genre and event. The advanced search option lets you select by date range and narrow searches down to films you can view, so select 1896-1929 and tick the box that says “show only works with videos” and there you are. Among the treasures to view are three silent feature films, examples of the remarkable (and curiously British) mini-genre of dramas set in far-flung lands (usually Africa) featuring native performers. 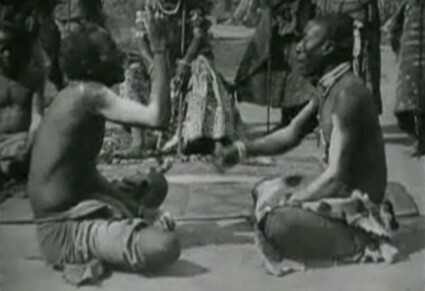 There is Palaver: A Romance of Northern Nigeria (1928), made by Geoffrey Barkas for British Instructional Films (“Filmed amongst the Sura and Angas people of the Bauchi Plateau in Northern Nigeria, where the rivalry between a British District Officer and a tin miner leads to war”); the Stoll Film Company’s Nionga (1925) (“Nionga, a chieftain’s daughter, is induced by a vindictive witch-doctor to persuade her betrothed lover, Kasari, to plot the destruction of a neighbouring tribe”), for which the filmmaker is not known; and Stampede (1930), made by the adventurers Majour Court Treatt and his wife Stella, filmed in the Sudan (“The film tells the story of Boru, adopted into the ‘Habbania’ tribe after his mother is killed by a lion, who grows up with the Sheikh’s son, Nikitu”). One watches these curious mixtures of travelogue, ethnography and melodrama with both fascination and bemusement, the latter because to is hard to see how they were ever viewed as commercial propositions. The films attempt to be liberating in how they tell stories of African life with African performers, but the colonialist attitude is revealed in patronising titles, the portrayal of Africans as impressionable and child-like, and the choice presented of good (because paternalist) and bad (because they lead Africans astray) whites in Palaver. Nionga has an all-African cast and so offers the opportunity for a fresh point of view, but titles promising a drama of “a crude life of simple people” and “a glimpse into the minds of Savages” demonstrate that the film is constructed entirely from a Western White point of view. 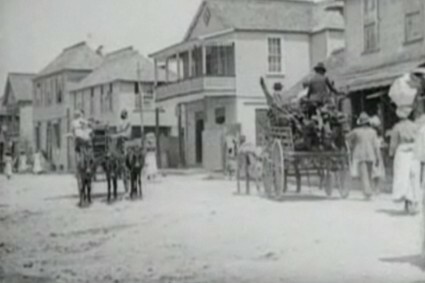 Stampede (which has a music track and commentary) was made by travel filmmakers who added a fictionalised element because it was the only way for them to produce a commercial film. In the end one watches these films not for the dramas imposed upon the performers but for the incidental details of African life that the dramas cannot entirely obscure. There are other short fiction films: the resoundingly gung-ho How a British Bulldog Saved the Union Jack (1906) and Edison’s drama of the Indian ‘Mutiny’, The Relief of Lucknow (1912). Among the non-fiction films and such gems as the Charles Urban Trading COmpany’s A Trip through British North Borneo (1907); British Instructional Film’s engrossing West Africa Calling (1927); another BIF travelogue of particular interest today, Baghdad (1928); Gaumont’s spectacular record of the 1911 Delhi Durbar ceremonies marking the coronation of King George V; and another Charles Urban production, the Kineto company’s Montego Bay to Williamsfield, Jamaica (1913), a subject apparently filmed in both Kinemacolor and monochrome (alas, only the monochrome survives). This is an impressive resource, though some are going to find it frustrating to be faced with so many catalogue descriptions that aren’t accompanied by the films themselves. Other might find the contextualisation are little heavy on the political correctness, anxious that we should only interpret these films in the correct way. Ultimately most are not going to be interested in the lessons – either those imparted by the original colonialist filmmakers, or those deduced by modern commentators from a post-colonial point of view. It’s what we are allowed to see of the people, the landscapes, the industries, the townscapes that lingers in the mind. The camera came to observe and report back, but what endures are the individuality and dignity of its subjects and the difference of their cultural milieu. The camera ultimately serves them. This is a valuable resource. I like the navigation in the Search Film by Country section.